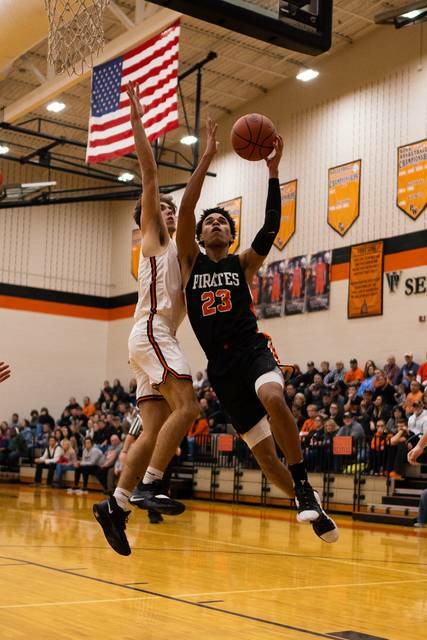 PORTSMOUTH – Monday afternoon featured the fourth edition of the high school boys’ basketball AP poll for the state of Ohio’s four divisions, and the Wheelersburg Pirates are inching closer to the top spot in the state as well as finishing the regular season with an undefeated record. After three victories were added to their winning column last week, (Wins over Russell, Northwest, and South Point), the Pirates once again found themselves in the state’s second spot in the Division III race behind, you guessed it, Archbold who is perfect on the season at 14-0. Wheelersburg enters their road SOC II game this Friday against Waverly with an undefeated 16-0 record, and a 9-0 record in SOC II play. The Pirates received 186 points in this week’s poll, as well as three first place votes. Archbold received a majority 16 first place votes and a high of 227 points. Eastern Pike comes into this week’s contest with just one blemish on their record at 15-1 and has jumped from the state’s 11th ranked team in Division III a week ago, to now being featured as the state’s 8th ranked team in Division III. The Eagles travel to Notre Dame this Friday to face the Titans.